DON’T CHANGE YOUR SWING – MODIFY IT! 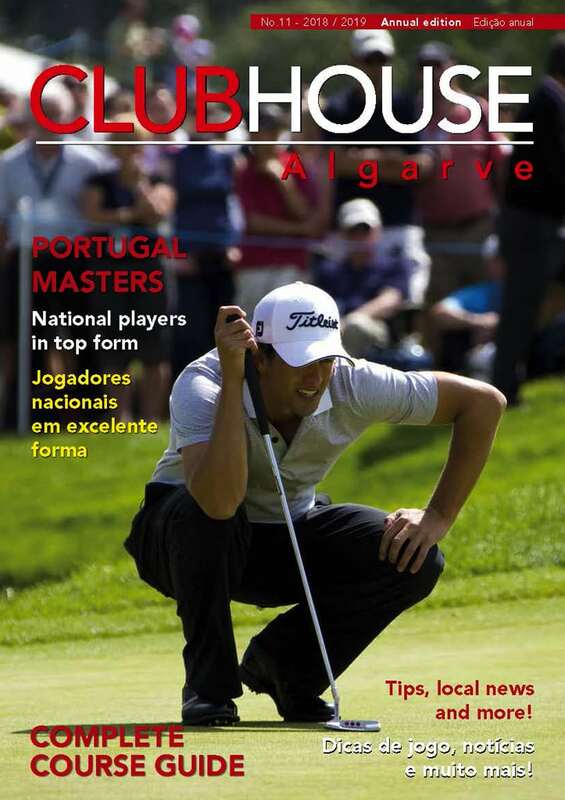 Project Drive, the Portuguese Golf Federation initiative, continues to go from strength to strength. 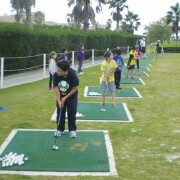 Children as young as six experience golf through partnerships between local authorities, schools and the Portuguese Golf Federation. 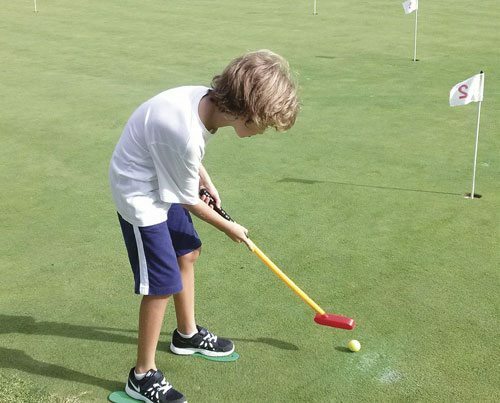 David Moura, Assistant Coach of the Portuguese Golf Team, leads the development of junior golf and along with the `Project Drive’ team encourages youngsters to try golf and develop a love of the game. 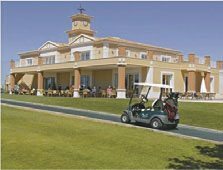 Clubhouse Algarve recently accepted an invitation to observe the project in action at Salgados Golf Club near Albufeira and the experience was both enlightening and impressive. 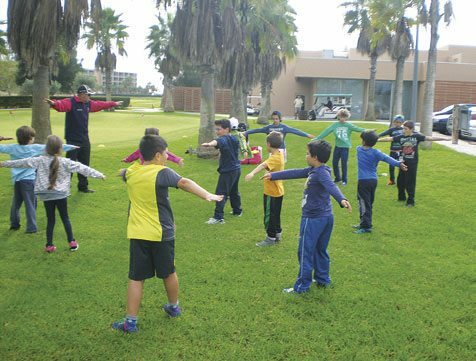 Over 30 eight and nine year-olds from nearby Vale de Parra School participated in the Salgados activity which is one feature in a programme of activities for schools. 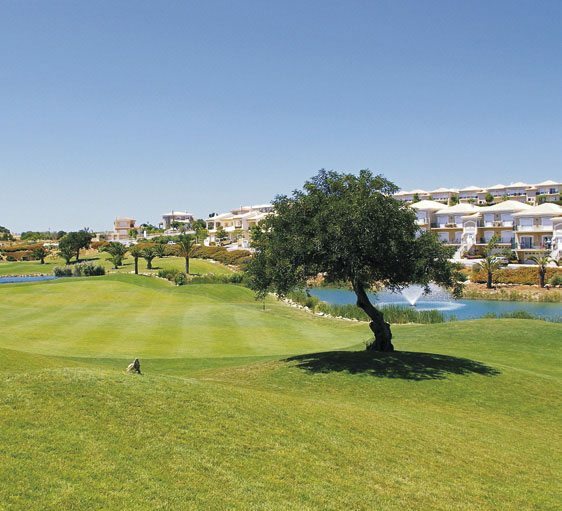 Sheraton Pine Cliffs also welcomed 11 to 18 year-olds from various schools in Albufeira while Balaia Golf hosted aspiring golfers in the 11 to 18 age group from Vilamoura, Albufeira and Lagoa. 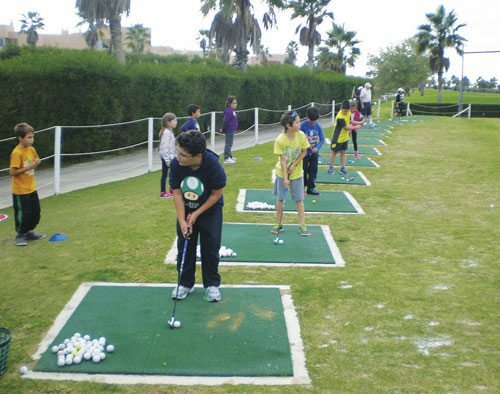 The support of local golf clubs in the Algarve makes such activities possible and is greatly appreciated by organisers like Domingos Quadrio, Golf Centre Coordinator for Schools in Albufeira, who led the activities at Salgados. The programme was organised by Domingos and he was assisted by Cristiano, a Project Drive volunteer from the Algarve University. The activity reflected meticulous planning and preparation and the children enjoyed a range of fun experiences demanding skill and concentration. 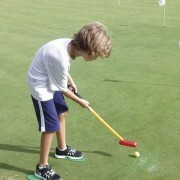 Dario of the Salgados staff demonstrated a `real’ drive from the first tee and was rewarded with hearty applause and warm `high fives’ from his new army of young fans. Some of the youngsters were then led by Cristiano to the practice range for iron play practice. 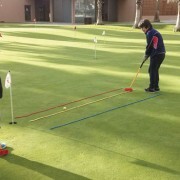 The others were directed to the putting and chipping area where various `stations’ had been constructed to provide experience and practice of the all-important short game skills. 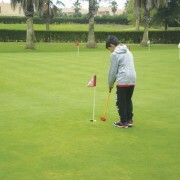 Domingos emphasised that it is “very important to begin with the short game before moving on to a modified course where the youngsters complete a short round. 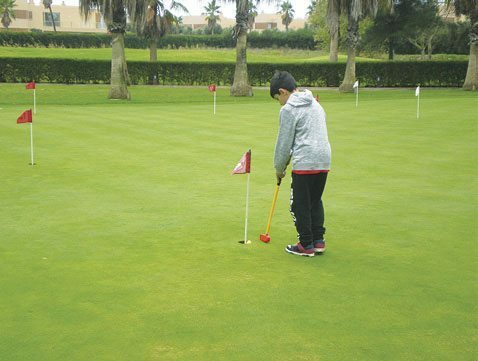 They can then progress to a bigger, more demanding `course’ as their skills and confidence develop.” The youngsters here are seen enjoying learning and developing new skills and maybe we are witnessing our golfing stars of the future. 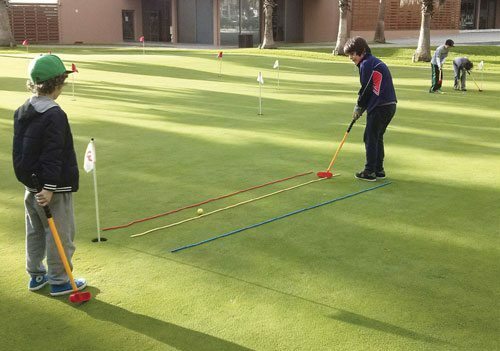 What’s certain is that with the dedication and professionalism of the Project Drive team supported by golf clubs and schools there is every reason to be highly optimistic about the future of golf in Portugal.